Chinese instrumental band Wang Wen is set to make its debut in Singapore this November. Wang Wen will be bringing its signature post-rock sound to Singapore for the first time next month in support of its tenth studio album Invisible City. Over the course of its 19 year career, Wang Wen has earned itself a legion of loyal and passionate fans and the band's performance is chalking up to be one of the most anticipated shows in November. 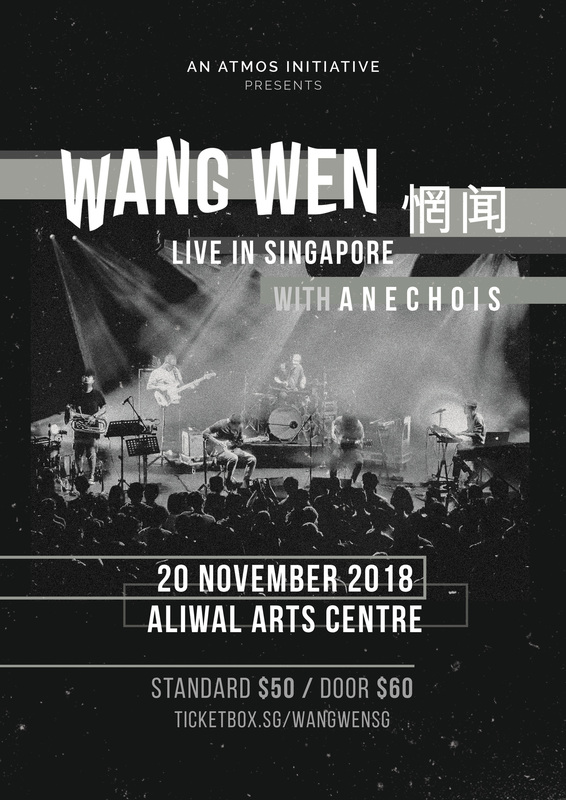 Wang Wen will be supported by local math-rock band ANECHOIS who will be making its grand return to the stage after a two-year hiatus following the departure of bassist Dale Roswald in 2016. Presented by ATMOS Live, Wang Wen will perform at the Aliwal Arts Centre on 20 November 2018. Tickets are now on sale at S$50. Tickets at the door will cost $60. Get your tickets here. In the meantime, check out Wang Wen's 'Daybreak' off Invisible City below.